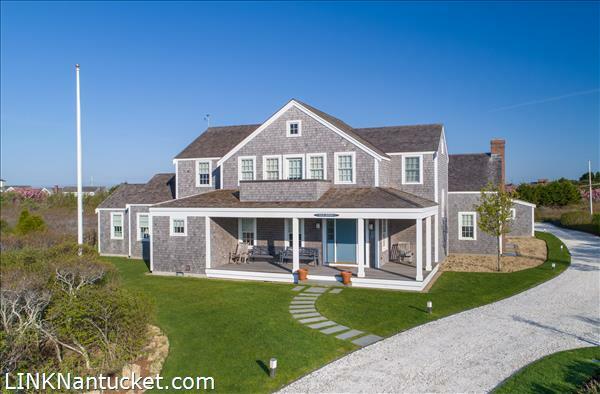 Enjoy your Nantucket summers at this secluded Surfside estate, just a short distance to the ever-popular south shore with nearby path providing direct access to the beach. The main house features three levels of living space with a spacious and thoughtful floor plan offering privacy for each of the four bedroom suites. It boasts a brightly-lit and well-designed interior with wonderful integration to the spacious back deck, manicured yard and private, heated pool & spa. A guest cottage with living room and bedroom suite offers great overflow space for guests and family, and doubles as a fabulous, poolside entertaining area. 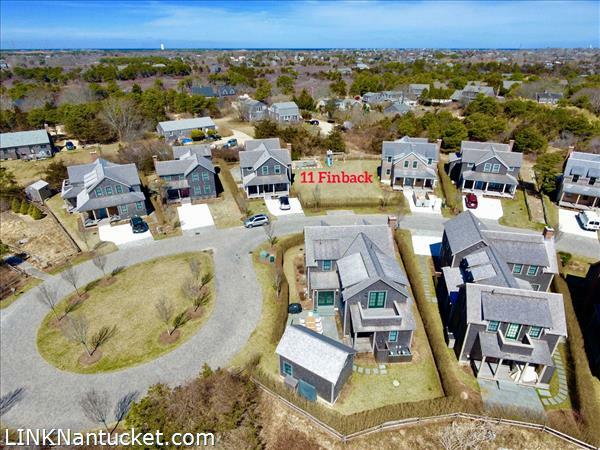 This is the Finback Combo platter, 2 newly built houses with a beautiful lot in between. 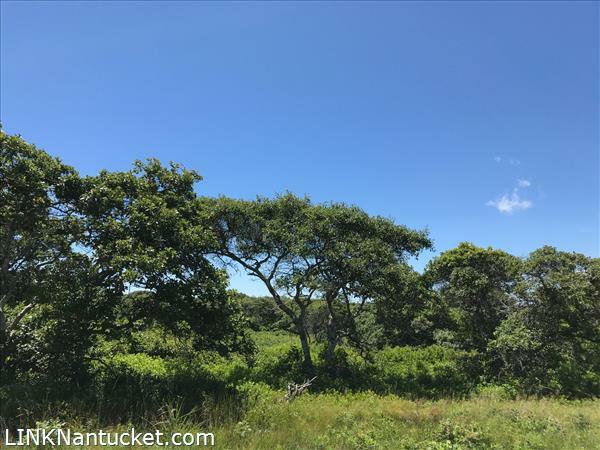 Both houses and lot offered separately or buy them together to own a Finback compound abutting 4 acres of conservation land. Enjoy a short peaceful walk with love grass to an inviting pool and cabana. Both houses are unique, high end homes with wonderful open layouts and quality craftsmanship. Centrally located with close proximity to Cisco Beach, Miacomet Golf and Bartlett Farm. Fabulous privacy with this well maintained two story upside down house situated on a high 2.75 A acre lot in Tom Nevers East. Existing house consists of 2 bedrooms, 2 baths, office, and a full basement with a finished TV/exercise room. Lot would allow 2,700+ sq. ft. additional ground cover for construction of main house with ample room for a pool. Association tennis courts $250/annually (optional). Sellers prefer a closing after September 15, 2019 or a ‘rent back’ situation until that date. 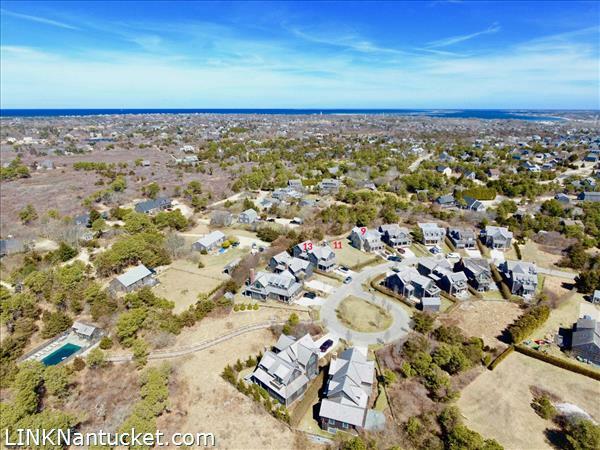 Rare opportunity to purchase the last remaining buildable lot on Finback Lane. 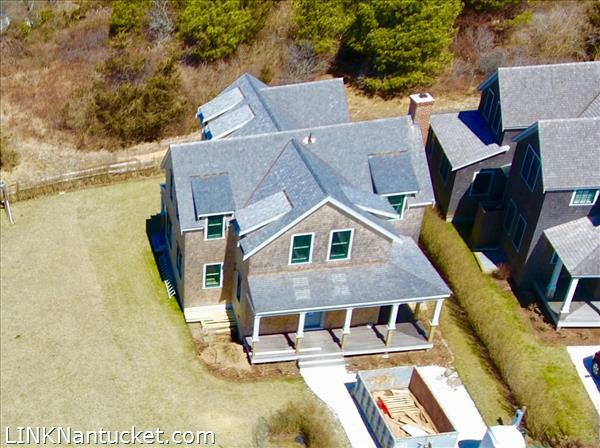 This is the time to build your Nantucket dream home abutting 4 acres of conservation land with walking paths, inviting community pool and cabana. 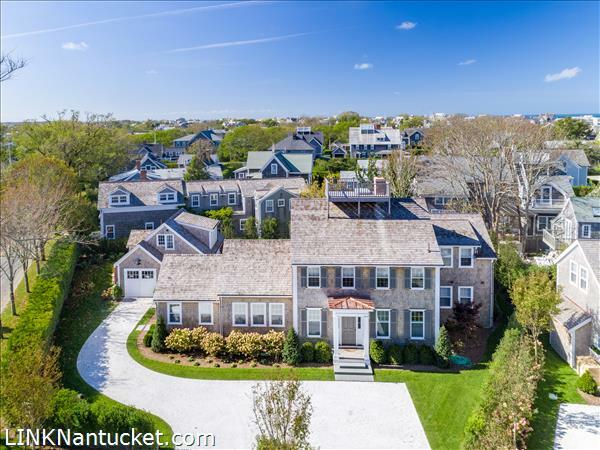 Finback Lane, in the heart of Nantucket is centrally located with close proximity to Cisco Beach, Miacomet Golf and Bartlett Farm. 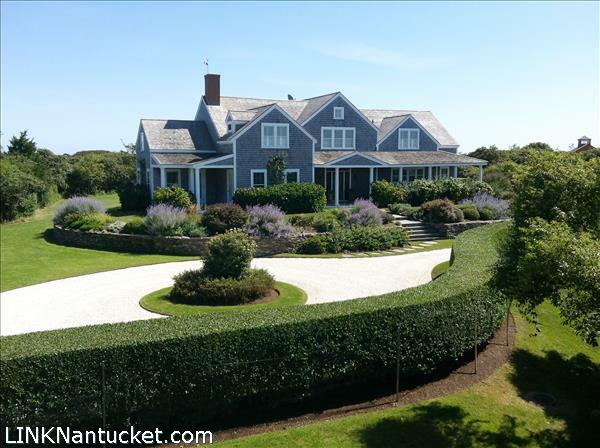 Finback Lane, in the heart of Nantucket. New construction with pool and cabana. Custom built house abutting over 4 acres of conservation land with walking paths. Centrally located with close proximity to Cisco Beach, Miacomet Golf and Bartlett Farm. This house is under construction and unique with high end appliances, open floor plan and great outdoor space. At the end of the paver stones road is a path that leads to the private pool and cabana. 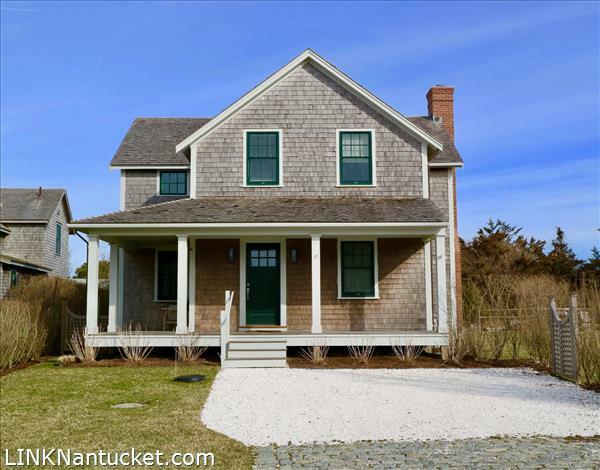 This house is built with the highest level of quality, Nantucket with all the creatures of comfort in a very convenient location. 9 Finback Lane is quality construction with shiplap walls, crown molding, oak floors, marble countertops, and tiled baths. *Photos are of another home in the development. GREAT OPPORTUNITY ~ Custom built home constructed in 2011 located at the end of beautiful Hedgebury Lane. Close to a half acre lot walking distance to Town. This beautiful 4 bedroom, 4.5 bath home has every modern amenity with the possibility for a main house to be built with a footprint 20% larger than the existing home, and next to it. Old structure can become the 4/3 bedroom cottage that everyone desires. Heated pool surrounded by a large bluestone patio and gardens with finished cabana wired for cable and stereo with a large outdoor shower. Oak floors, custom mill work and built-ins are a must see. Please call for more details, or an appointment to preview this special property. Charming 3 Bedroom, 2.5 Bath home nestled into a quiet spot off West Chester Street, with close proximity to Brant Point and Cliff beaches, as well as down town shops and restaurants. This enchanting property offers many desirable features such as a first floor Master Bedroom and spacious private Bath, open concept Living/Dining/Kitchen with a sunny greenhouse-enclosed dining area, gas fireplace, and many built-ins. There is a two-tiered private brick patio surrounded by lush plantings which has ample space for dining al fresco, as well as a reading garden, and off-street parking. 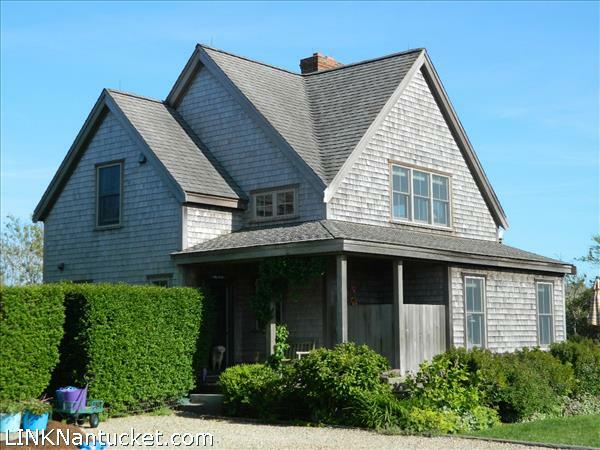 This is a wonderful home for year-round living or summer rental income. A must see!! This newly built family compound has it all! Close proximity to town, 5 bedroom, 5 ½ bath main house, 2 bedroom, 1 ½ bath cottage, expansive pool and patio, fire pit, sunny deck, outdoor kitchen with pizza oven and numerous living areas. Two Winn Street’s thoughtful design and superior construction provide the perfect venue for large gatherings and family enjoyment! Wonderful lot, part of a twelve lot cluster subdivision abutting conservation land in Quidnet and close to Sesachacha Pond. There is 2600 square feet of buildable ground cover with the ability to have a four bedroom septic system. Finback Lane, in the heart of Nantucket. This wonderful family home is recent new construction with community green space, pool and cabana. Custom built house abutting over 4 acres of conservation land with walking paths. This house is unique with high end appliances, open floor plan, finished basement, and family friendly living. Quality and comfort with many extra details including shiplap walls, crown molding, oak floors, marble countertops, and tiled baths. Centrally located with close proximity to Cisco Beach, Miacomet Golf and Bartlett Farm. 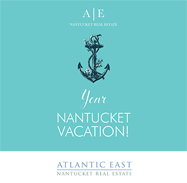 Bring your toothbrush and enjoy all Nantucket has to offer. Vinecliff is a one-of-a-kind location on the Cliff. Surrounded by beautiful old trees and privet hedges PKG Designbuild has constructed and furnished this special home with around the corner access to Steps Beach, North Shore beaches, and town. Open living spaces and comfortable bedrooms with ensuite bathrooms complete this turn-key home on the Cliff. 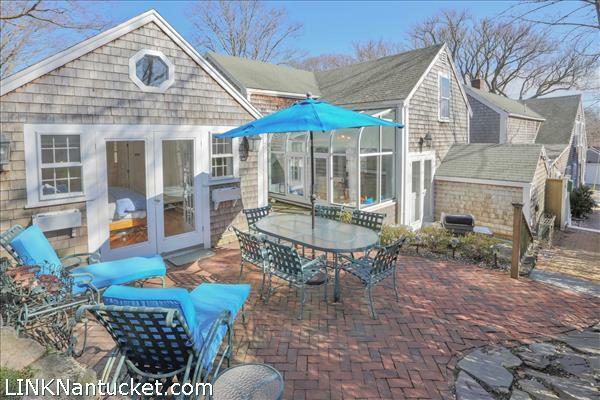 The living space on the third floor leads to a roof walk offering beautiful views of Nantucket Harbor. Fresh and immaculate home situated on over a half acre beautifully landscaped and recently updated. An incredible location, the property abuts Land Bank land with ease of access to phenomenal paths and Conservation Land. Perfectly sited taking advantage of both east and west lighting. An expansive yard offers over 1,800 sq ft of additional ground coverage with potential for a Garage and Pool. Conveniently located to the island’s bike paths, beaches and shuttle, this very inviting home with all new kitchen and updated baths makes this a turn key property. A peaceful and private setting on the Sheep Commons Lane cul-de-sac with mature privet and perennial planting beds. An excellent rental investment property and ready for use this Summer! summer outdoor living from generous covered porches and sprawling decks, to cozy indoor living with two solid stone fireplaces. The home has a spacious flow with areas tucked away for privacy. Multiple wings give way to gathering spaces that open up onto the deck, creating the feel of one continuous space. 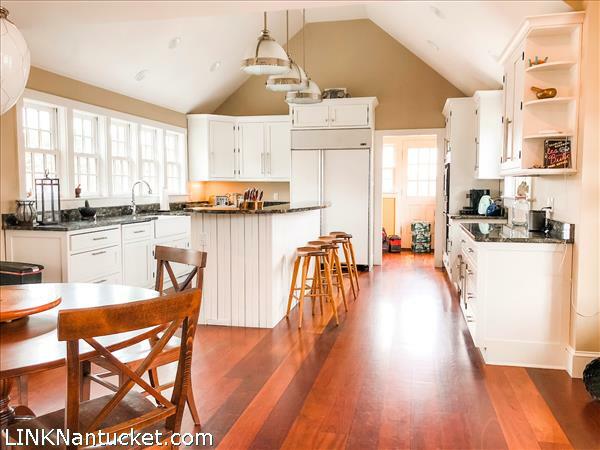 Gourmet kitchen has an island with bar seating, vaulted ceilings and extra large windows for exceptional light. The kitchen flows into an open concept dining area with French doors that open onto a large back deck. Deck overlooks conservation land facing to the West. Other details include custom doors throughout, generous natural light, ample storage and a large yard perfect for play and potential pool addition. Polpis LOCATION just a moment from Moors End Farm and not far from Town. The property will soon have access to Town sewer, is just across from the Polpis Road bike path and offers easy access to conservation trails. This property has location, opportunity for expansion, and connection to Town sewer adds the potential for bedroom expansion. This sophisticated Surfside beach home offers incredible attention to detail throughout the property. 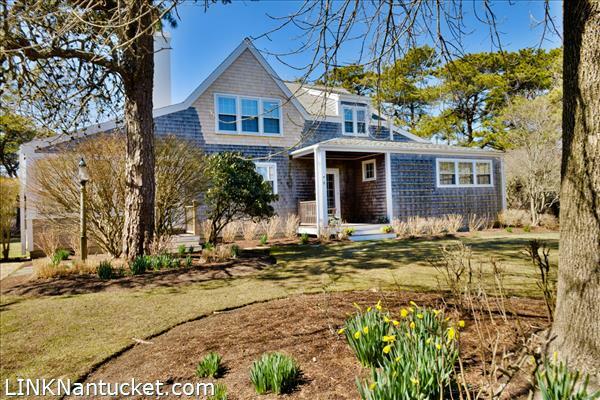 Ocean views and close proximity to one of the south shore’s premier beaches elevate the premises to the next level of island living. 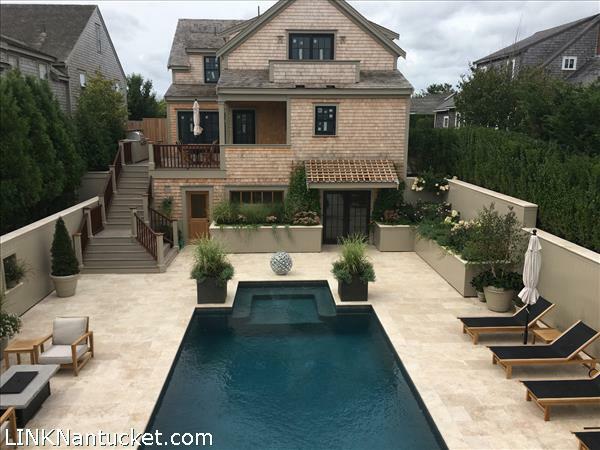 The secluded pool area is accentuated by an outdoor brick freestanding fireplace with a large seating and lounging area around it, a perfect spot for dining al fresco and enjoying Nantucket’s famous sunsets. The extensive native landscaping is mature and well thought out. There is a five bedroom septic with potential to complete the lower level to include a fifth bedroom or build a cottage. This immaculate home is located just under a mile to the spectacular beaches at Quidnet and Sesachacha Pond with some of the best swimming, sailing, kayaking and fishing on the island! 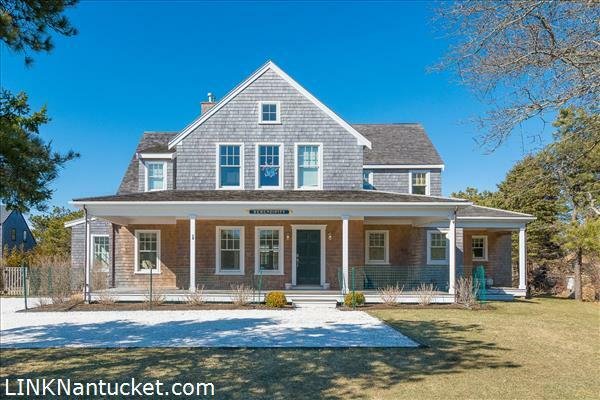 With timeless finishes, this 4-plus bedroom, 4.5 bath main house and 1 bedroom, 1.5 bath cottage with attached two car garage offer almost 6800 square feet of living space. Situated on 2.80 acres of land with close proximity to both Conservation and Land Bank properties offering picturesque walking and hiking trails. 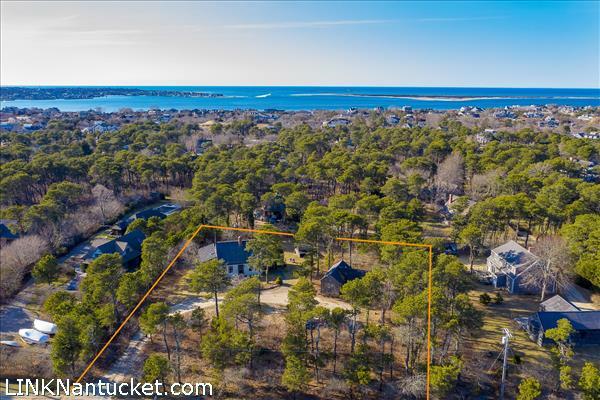 Abutting preserved open land, the privacy, beautiful landscaping and views of Sankaty Head Lighthouse compliment this very special property.